2014 Tesla Model S How our users rated the 2014 Tesla Model S.
2014 Audi RS 7 How our users rated the 2014 Audi RS 7. 2014 Jaguar XJ-Series How our users rated the 2014 Jaguar XJ-Series. 2014 Hyundai Equus How our users rated the 2014 Hyundai Equus. Based on 772 user rankings. Driven or own this vehicle? Rank this vehicle to share your opinion. 2014 Audi S8 How our users rated the 2014 Audi S8. 2014 Lexus LS 600h L How our users rated the 2014 Lexus LS 600h L.
Based on 865 user rankings. Driven or own this vehicle? Rank this vehicle to share your opinion. 2014 Maserati Ghibli How our users rated the 2014 Maserati Ghibli. 2014 Bentley Flying Spur How our users rated the 2014 Bentley Flying Spur. 2014 Rolls-Royce Phantom How our users rated the 2014 Rolls-Royce Phantom. Based on 756 user rankings. Driven or own this vehicle? Rank this vehicle to share your opinion. 2014 Mercedes-Benz S-Class How our users rated the 2014 Mercedes-Benz S-Class. 2014 Audi A7 How our users rated the 2014 Audi A7. 2014 Audi A8 How our users rated the 2014 Audi A8. 2014 Cadillac XTS How our users rated the 2014 Cadillac XTS. 2014 Audi S7 How our users rated the 2014 Audi S7. 2014 INFINITI Q70 Hybrid How our users rated the 2014 INFINITI Q70 Hybrid. 2014 Lincoln MKS How our users rated the 2014 Lincoln MKS. Based on 781 user rankings. Driven or own this vehicle? Rank this vehicle to share your opinion. 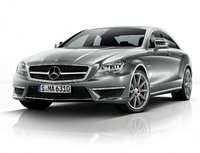 2014 Mercedes-Benz CLS-Class How our users rated the 2014 Mercedes-Benz CLS-Class. 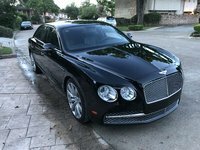 2014 Bentley Mulsanne How our users rated the 2014 Bentley Mulsanne. 2014 BMW 7 Series How our users rated the 2014 BMW 7 Series. Based on 564 user rankings. Driven or own this vehicle? Rank this vehicle to share your opinion. 2014 Lexus LS 460 How our users rated the 2014 Lexus LS 460. 2014 Acura RLX How our users rated the 2014 Acura RLX. 2014 Hyundai Genesis How our users rated the 2014 Hyundai Genesis. Based on 726 user rankings. Driven or own this vehicle? Rank this vehicle to share your opinion.